(Reuters) - Southwest Airlines Co (LUV.N) on Thursday reported third-quarter profit that topped analysts' expectations, and forecast that unit revenue would rise in the fourth quarter year-over-year, bucking a months-long decline in the metric. The U.S. budget carrier earned $584 million in the third quarter, a nearly 78 percent rise over the year prior. On an adjusted basis, profit was $623 million, or 94 cents per diluted share, compared with the average analyst estimate of 92 cents, according to Thomson Reuters I/B/E/S. 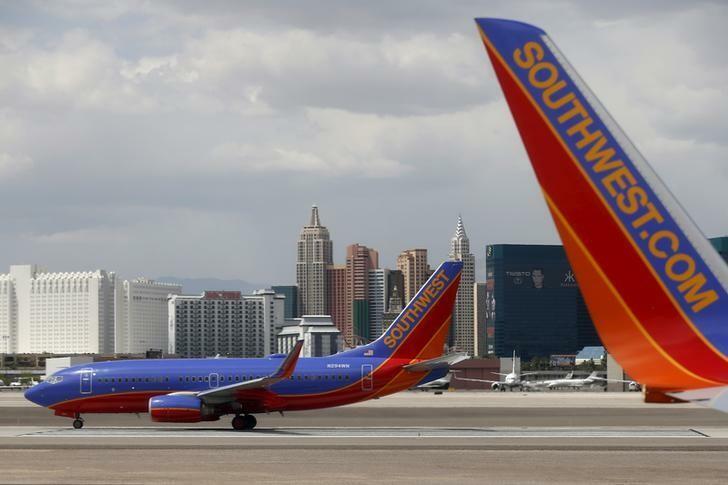 Southwest forecast that unit revenue would rise about 1 percent in the fourth quarter, compared to the year prior.